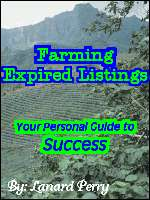 Buy and Download > Description This is an expired listing system for farming expired listings. Many agents know how lucrative relisting expired listings can be, but not as many as you might think consistently market them. So, their lack of pursuit of them can be your gain.